ISS can tailor a simple and flexible access control solution that integrates with your existing security products, giving you total oversight and peace of mind. .
Integriti’s state-of-the-art products make access control easy. Whether you’re a small, single site business or your operations span multiple locations, Integriti’s modular design allows you to protect your premises with a smart solution that scales with your business. The ISS team have years of experience designing, installing and servicing Integriti access control systems. 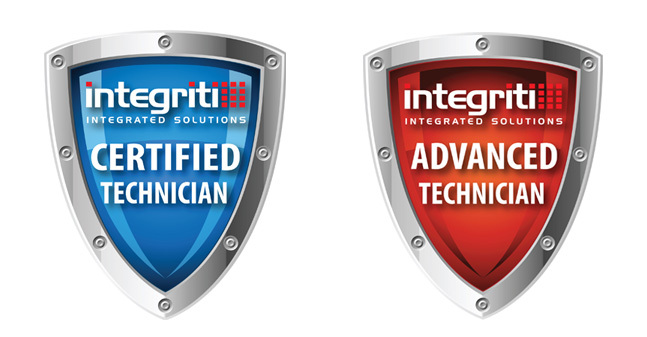 We pride ourselves on providing outstanding service and support, including training you and your employees on how to get the most from your Integriti access control solution. Integriti delivers a state-of-the-art solution with tangible cost savings through its integrated Security, Access Control and Building Automation functionality. Integriti is perfect for small sites through to large multicampus institutions. Only pay for what you want when it’s needed; Integriti’s flexible modular design means it grows with demand as required. And because it’s an IP-based networked solution, utilise new or existing I.T. infrastructure for boundless connectivity. Large or small, everyday use of the Integriti system is simple. Unlock doors, turn on or off security areas all by simply presenting a card at a reader or by using the colour graphic keypad. Manage the entire system via intuitive Windows® based software. Monitor and control the movement of all personnel and vehicles in the facility. Protect critical assets and manage the safety of staff and visitors. Manage OH&S liability by utilising competency based access control. 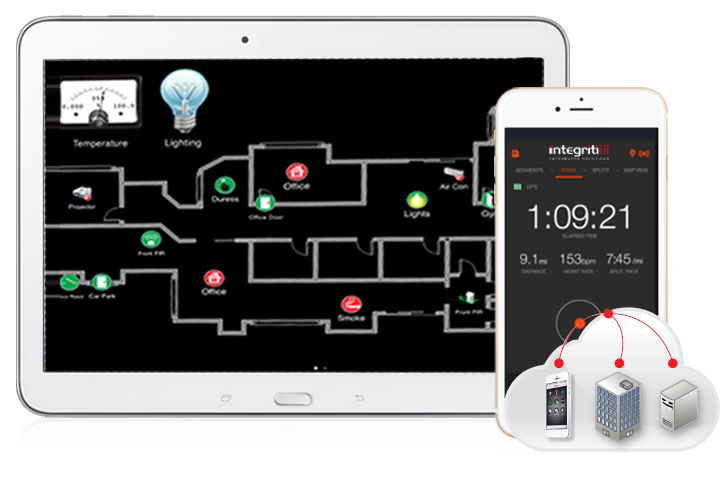 Remotely monitor and control the Integriti system with iOS and Android Apps. Manage the entire security operation from a single user interface. With Integriti acting as the complete Security Management System, integrate a variety of security sub-systems, such as CCTV, Biometrics, Mobile Duress, Lighting, Air-Conditioning, Intercom, Fire and many more. The Integriti Mobile and SkyCommand Apps pack a powerful punch of accessibility and control for your Integriti Security and Access Control system. With the tap of a finger, these exciting Apps allow remote operation of your Integriti system from anywhere in the world! No more wasted hours configuring routers and ports. The Integriti System Management Suite is a true cutting edge solution. Featuring the very latest technologies, Integriti has been designed from the ground up for the Internet age. Integriti software adheres to current I.T. industry best practices, empowering system administrators to leverage the very latest computer hardware and virtual machine environments, without restrictions, without caveats and without excuses. Integriti Software starts with the Express edition for small sites, offering everything you will need for basic system management. The incredibly flexible user permissions and Integriti GateKeeper application provide a convenient customer focused approach to system operation and management. The lightening quick search functions will present your results in an instant. Integriti Express is designed to be used on a single computer. For medium sized sites, upgrade to Integriti Professional edition and you have a network capable system with real grunt. Large system dimensions, drill down schematic maps, multiple workstations, integration options with existing HR systems and a range of third party products, plus a host of other innovative features that redefine the meaning of “System Management”. For enterprise systems, make use of Integriti’s multi-site architecture. Integriti may be deployed on any number of individual sites with offline autonomy, whilst system users and permissions are managed globally. A full range of optional Integriti software modules is available to satisfy the administrative needs of even the most demanding of organisations.